Note: The authors of this code pattern work for Chainyard. Recently, a multi-million dollar painting by Andy Warhol was tokenized and sold on blockchain in what was the first transaction of its kind. So clearly these types of transactions are no longer outside the realm of possibility. We have finally democratized the art market! This approach creates accessibility for non-traditional art collectors and enables art sellers to enter new markets on a global scale. This code pattern features an app that instantiates a local blockchain network to store artwork images in digital format on the ledger. One can also cat the input from a file. By default, blockchain supports encryption, security, and immutability. These characteristics are fundamental for the art auction use case. We challenge you to try using this with other types of assets! Tear down any existing networks and remove any containers or images that are lying around. Launch the Hyperledger Fabric network. Launch the Node.js application (REST server wrapper of top of the Node SDK API). Install and instantiate the auction chaincode. Invoke a transaction where the Node.js app transforms a Base64-encrypted image into a string format. Store the encrypted image on the blockchain ledger. Query the ledger to get the image data by its imageID and save the image as a thumbnail in a public folder. Launch the Hyperledger Fabric Network and the Node.js app. Create the network channel and invoke a transaction. IBM Blockchain - Marbles demo Learn the basics of chaincode and app development with a Hyperledger Fabric network. 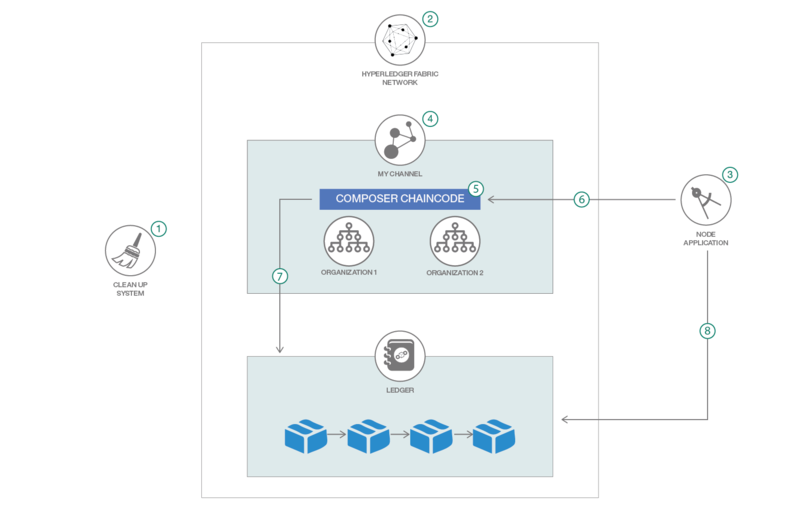 Hyperledger Composer Start building blockchain applications and business networks now.